Rush Ticket: $39.00 - Available at the Box Office only on the day of the performance - Limit 2 tickets per customer - Subject to availability. Standing Room: $27.00 - Available at the Box Office only on the day of the performance - Only sold when the performance is sold out - Limit 2 tickets per customer. 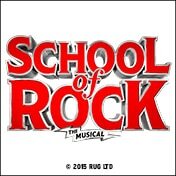 Digital Lottery: On the day of the performance patrons are invited to enter the School of Rock Broadway Lottery by 10am for matinees and 3pm for evening performances. Winners may purchase up to 2 tickets at $39 each. Seats may not be located next to one another and locations may be partial view.